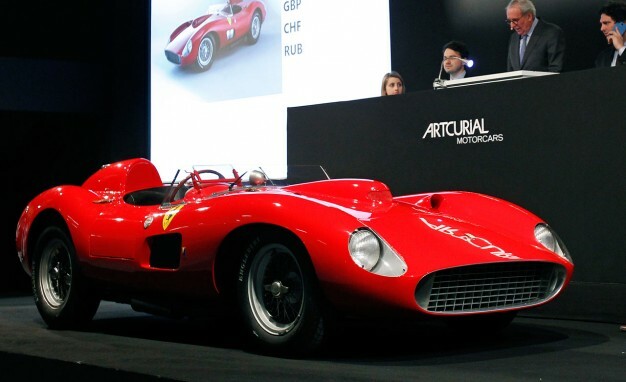 Used Ferrari Market: Hot or Cold? Is the Pre-owned Ferrari market hot or cold? How do we tell? What are the driving factors that make this market hot or cold? These are all questions that we are constantly asked and sometimes they can be very challenging to answer. On February 7, 2018, a 1989 Ferrari Mondial T with 9,000 miles sold on the website, Bring a Trailer, for $66,000. This is more than 50% higher than the Ferrari Market Newsletter says these cars are worth today. On February 8, 2018, a 1987 Ferrari 328 GTS with only 5,000 miles sold on the same auction site for $130,000. And on February 21, 2018, a 1986 Ferrari 328 GTS with 8,000 miles sold for $99,000. All of these examples are selling for significantly higher than the Ferrari Market Newsletter indicates the cars are worth. Does that mean that the used Ferrari market is hot again? Maybe, but then again, on the same Bring a Trailer website, another 1987 Ferrari 328 listed with a high bid of $57,500 failed to sell. This 328 had higher miles (approximately 35,000), but do miles really make that big of a difference? Possibly. Maybe the NYSE has something to do with it? Maybe car collectors get scared to spend big money when the stock market is dropping two thousand points overnight? I believe the answer is not so simple. Yes, I believe stock market volatility, the economy, and exchange rates, all effect Ferrari Values to some degree. I will, however say, this is probably the least important factor in determining the used Ferrari Market. Most Ferrari owners have a net worth at such a level that they are not affected by Market Volatility. This is also why some cars can cost $130,000 and a similar car, sell at the same auction for $99,000. I have found that every Ferrari stands on its own two feet, and given the financial wherewithal of the average Ferrari Buyer, if they find the right car, they will pay whatever they have to in order to get what they want. Similarly, when the market gets soft, many collectors will not sell their cars, and prefer to wait for the market to turn. Very few people who own Ferraris get caught in financial binds, therefore very few are sold in distressed situations. This ensures the values stay strong. How important is service and pedigree? This is the most important piece to any Ferrari, and frankly, the right car, with the right pedigree, will always bring absolute top dollar. Having a car with meticulous service records, only performed by well known technicians, will out weigh the market, the economy, the Stock Market, etc. So, is it simply an impossible question to answer? Are Ferraris worth whatever someone will pay, and since that is impossible to know at any given moment, you cannot say if the market is hot or cold? All we will say is there are far more millionaires and billionaires in this world than there are Ferraris. As long as top collectible Ferrari values are fetching 7, 8 and 9 figures, our advice is to invest in any Ferrari that you can and don’t worry if the market is hot or cold.